Indian Institute of Foreign Trade (IIFT) exam is just three months away from now. Those of you who are preparing diligently for the exam might be looking for analysis regarding previous year IIFT question papers, IIFT cut off, and previous year trends. Well, your doubts regarding IIFT cut off and paper analysis will be solved through this blog as we will discuss the previous year IIFT cut off while analyzing the exam pattern. Before beginning with IIFT cut off trends, it’s necessary to discuss the basic facts about IIFT exam to benefit the future aspirants. IIFT is a national level management entrance exam. IIFT conducts its entrance exam every year in offline mode, in November/December for admissions into its MBA (International Business) program. IIFT question paper is objective type and the duration of the exam is 2 hours. One thing which must be noted by candidates is that CAT exam questions are often repeated in this exam. Hence, solving previous year papers of CAT becomes crucial. The IIFT exam is a one of its kind management entrance exam. The reason it is so is that the marks awarded for questions under each section are different, unlike exams like CAT where there is uniformity in marks allotted per question. In IIFT exam, candidates are required to make wise choices regarding which question to attempt and which to leave. Another feature that becomes known by analyzing past three year’s question papers is that the number of questions under each section has shown variation. That is, there is an increase and decrease in the number of question asked per section. For In-depth details regarding IIFT Exam, it is preferable to do a section-wise analysis of past three years’ IIFT papers. This section has always troubled the students by being the most challenging of them all. 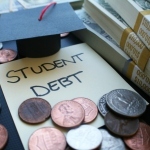 Although the number of questions asked from this section has remained constant at 20 from past three years, there is a certain degree of variation regarding the difficulty level. In 2013 and 2015, the section saw questions which were comparatively uncomplicated and easily solvable. However, barring these two years, the questions are designed in a way that requires in-depth calculation, therefore consuming time, and pressurizing the candidates. 14-16 attempts in 30 minutes with an accuracy of 80% will be good. This is one area where conceptual clarity and speedy calculations pay rich dividends. Over the years, candidates have garnered high marks in this section. 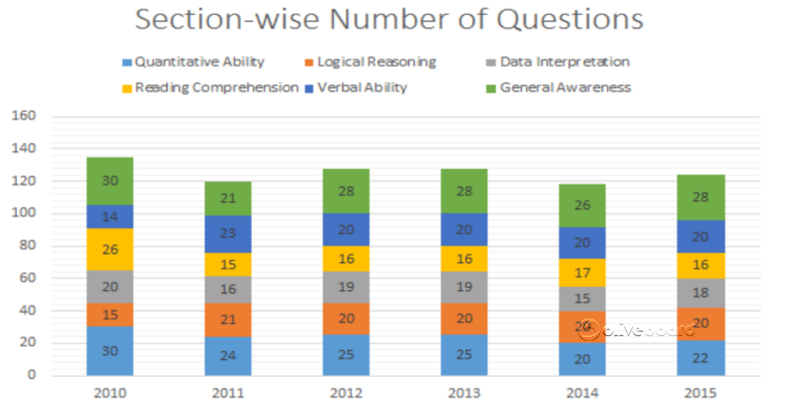 The number of questions asked under logical reasoning have remained constant, but the DI section has shown variability in the number of questions asked in past three years. In 2013 the questions from logical reasoning were simple and easy to tackle. However, in 2014 the questions were challenging. 2015 drew similarities with the 2013 level, whereas 2016 witnessed increase in difficulty level. 14-16 attempts with an accuracy of 80% would be a good score. DI, due to its time complicated calculations have proven itself scoring yet challenging. The questions in this part have not shown much variability in difficulty level in the recent past. 10 questions with 70% accuracy would be a good score. Overall, 22-23 attempts with a score of 13-14 would be a good score. This is cited as the easiest and most scoring section in IIFT Exam so far. 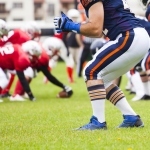 With little effort and time, candidates can score good marks in this section. The number of questions in the Reading Comprehension and Verbal Ability section have almost remained constant with little variations here and there. It has been observed over the years that questions from this section of paper remained moderate in difficulty level and weren’t too challenging for the candidates. An attempt of around 12-14 questions in Reading Comprehension with 9-10 correct answers is ideal. In Verbal Ability, an attempt of 15 questions with 12 correct in 15 minutes is ideal. The General Awareness section has proved to be the trickiest one for the candidates. The number of questions asked from this section has remained high, that is, to the tune of 25-30. The section has been of moderate level over the past few years and requires candidates to be regular with current happenings through newspaper reading. An attempt of 10-15 questions with an effective score of 6-7 is considered good. For a more detailed analysis on the number of questions per section asked in the previous year IIFT exam, candidates can refer to the screenshot below. As we discussed above about the variability in marks allotted to questions per section and the difficulty level of the exam, the applicability of proper preparation strategy becomes highly crucial. Make a list of all the important topics of the syllabus. Gather the variety in the type of questions asked over the years under each section of the paper. Take help of online and offline sources in this regard. Quantitative aptitude is the section where the level of your practice determines your score in the exam. Hence, solve around 200 to 300 questions per topic. For DI section, you must tackle calculation problems in a speedy manner. For this you can refer to some Vedic Math Tricks or easy calculation tricks, that would help you save time in exam. The Reading Comprehension and Verbal Ability section can be tackled easily by practicing mocks and previous year papers. For RC section, reading newspapers or magazines can benefit. The General awareness section can be tackled by being regular with newspaper reading. At the time when exams are approaching, refer to the online GK modules and capsule videos and PDFs for quick revision. 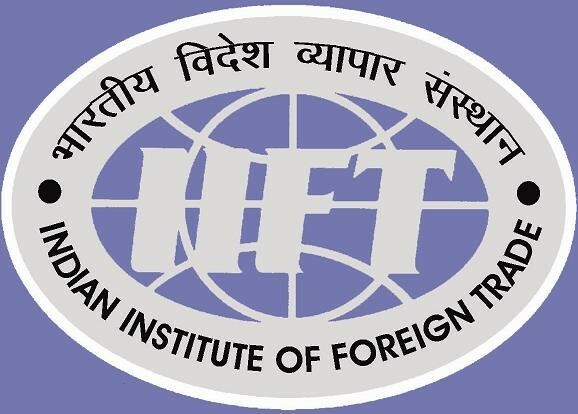 Indian Institute of Foreign Trade (IIFT) aims to professionalize the country’s foreign trade management and increase exports by developing human resources; generating, analyzing, and disseminating data; and conducting research. IIFT has, over the years, undertaken path-breaking research studies with organizations like WTO, World Bank, UNCTAD and the Ministry of Commerce and Industry, Government of India. College Dunia extends its best wishes to all IIFT aspirants.